What do you think of as a small business? No matter your thoughts on this, in reality, small businesses are actually quite large. Depending on who you ask, small businesses could have up to 1000 employees. That’s a large operation. In a sales role at a small business, it can be cutthroat. You against your competitors (and sometimes even your coworkers!) and you want to be Usain Bolt. As your economics professor would tell you though, time spent isn’t equal to ROI. We have to not only work faster and harder but smarter, too. 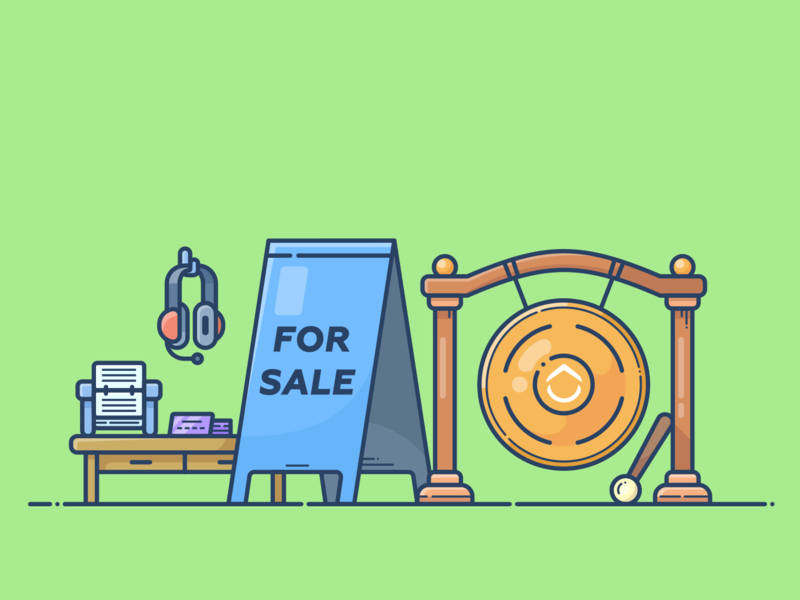 To be a successful salesperson, get sales tools in these 8 areas. For newbies out there, CRM is a customer relationship manager. It’s a piece of software that stores all of your contact names, pertinent information (everything from email addresses to company websites to LinkedIn profiles). But this isn’t just a newfangled Rolodex. It also stores activity and interactions that you have with each prospect or client, such as your last email or date of phone call. It connects the contact to a company, or other companies that this person may have been connected with (People jump jobs, you know!). The best CRMs will also score your contacts, showing you top leads, deal statuses and more to organize your sales funnel. If that sounds intimidating, don’t worry—you don’t have to do it all at once. Too many firms jump to the big guys like Salesforce without needing to. In fact, it may be better to start with a simple CRM and then scale as you grow. For instance, ClickUp is a productivity tool that can also be outfitted as a CRM with our custom fields feature. You can add in contact info, list out next steps for the contact/prospect, and include any attachments. You can also create a template for any new contact record so that you always have the right details for each new person you add. IOVOX: Functions as a CRM for your phone calls. Is very popular with real estate brokers. What’s an easy place to communicate with the rest of your team about how deals are progressing or about how new features, products or service lines may impact current customers? Most companies dump those updates into a Powerpoint, email it out to everyone and then promptly forget it three days later. Months later, there’s a massive delay as the sales VP is combing through her inbox for those feature details. How can this be avoided? Answer: with a project management tool that’s simple to use, but powerful enough for your whole organization to get onboard. ClickUp has the features you need for task details, commenting, attachments, integrations and more. Your sales team can leave comments, as well as view projects and tasks in real time. Or…that could be horrible. Having a line between sales/biz dev and product can be helpful with clear chains of command. ClickUp handles that too, with individual spaces and teams that can only be accessed by certain members. In any business with contracts or agreements, you’ll be sending a lot of documents back and forth. And don’t tell me you’re still scanning and faxing. That’s gotta change, most of all because you don’t want to explain how the fax machine works to your new intern. It’s just not worth the time spent. Once you close a deal, you don’t want to also deal with that. You need a quick, automated way to get the paperwork in hand and the money in the bank. For easy access to contracts, brochures, guides and product updates, you’ll need a document management system to help your team find needed materials. Many of the top tools included attachments with version history and notes to help you record any changes or updates that were made. It’s also handy to have these integrate with your project management tool, so that the update process can move faster. If you’re using Dropbox or Google Drive, both of those integrate with ClickUp. Scheduling the next demo or meeting is just as important as making the contact. Because what’s the point if you never find a time to talk? Sending emails back and forth is just plain silly when there are loads of great tools that offer calendar invites and meeting details. Adding a meeting scheduler as one of your sales tools will simplify your life and bring in a few more demos along the way. Once you schedule your meeting, use ClickUp to take notes and set up action items. For sales, it’s not enough to stay on top of email–you have to maximize its impact. A lot of email programs will help you personalize your greetings and notify you when emails are opened. You can also schedule emails to go out at a certain time to reach your prospects on their schedule–not yours. Many tools also have group inbox capabilities so that you can comment and talk about an email with other team members before replying. Many of these programs can also make responding to and tracking emails much simpler. Use these tools to help you create a better connection, including finding emails and making that instant connection. But how do you know where to start? Buy that list from a huge database? Probably not. You need tools like Sales Navigator and LeadFuze to help create customized lists that are more likely to match up to your sales targets and goals. I have a friend in sales who flies across the country, stopping in to see a variety of clients along the way. He’s in Philadelphia one week, Raleigh the next and then hits Seattle. That’s nice if your company has the money to pull that off. Not all of us work for firms plop down thousands each week for a sales team zigzag to every prospect. But the next big tool in your arsenal is a quality video conferencing platform to make that personal connection. It has to be reliable and trustworthy, and most importantly–not annoying. And forget multiple logins, who likes that? A few tools work best for individual meetings while others may be a better fit for group conferencing. Appear.in: Anyone can go to the site, find their person and log in. Or send invites. Very easy browser-based meetings with no extra downloads or pin codes. Your goal: more ability and capacity to connect, because the typical salesperson is only spending 36% of their time with actual sales. That’s not good. Though sales can sometimes seem like hand-to-hand combat, productive sales tools are supposed to work for you and your sales reps. They make the daily, but necessary small steps of sales happen with less friction so your team focuses on higher value returns.